What started out as a gloomy and cold day, turned out to be pretty fantastic as the day went on…I always say one of my favorite things to do with the individual Bands is to spend the day napping with them. Well, that’s exactly what we got to do with Teton’s Band today! 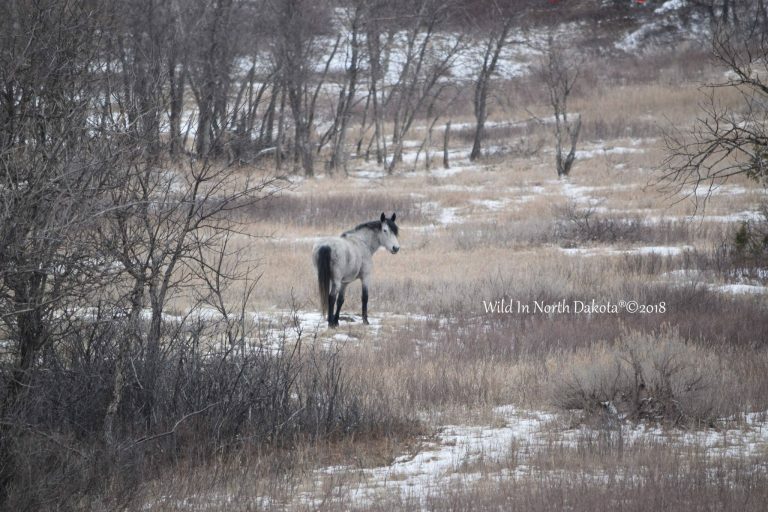 As I’ve reported, it’s been really cold this past week and so it’s not uncommon to see the horses try to get rest during the day when it is warmer and more comfortable for them. Today was no exception and nap away they did! It started with Stallion Teton himself and one by one, the entire Band ended up taking some really long and much needed snoozes. 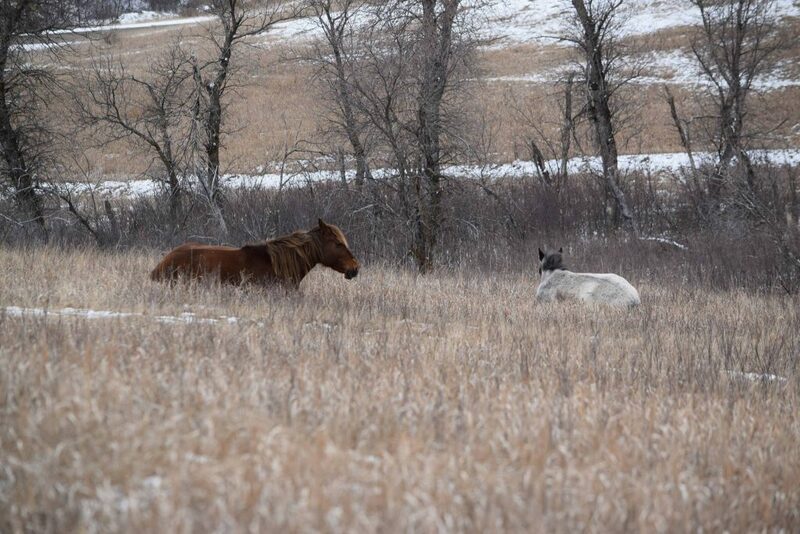 Teton has built a really nice family for himself and they all look happy and healthy and have managed to make it through yet another winter. 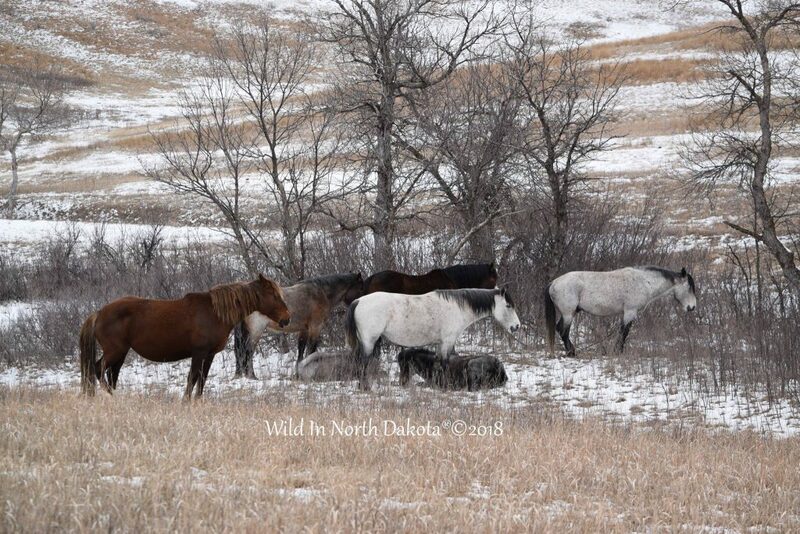 Enjoy this look at the day in the life out here in the beautiful North Dakota Badlands! I’ll write on each individual picture so be sure to read through those. We’ll be back at it again tomorrow so stay tuned for more fun from the field! 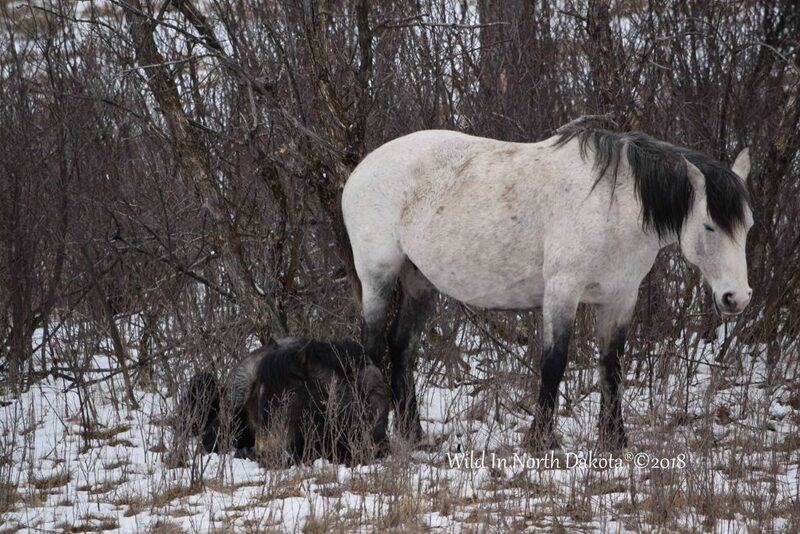 Stallion Teton catching some Zzzz’s along with Mare Indian Paint Brush and her Colt Indy, Mare Goblin and her filly we call Journey, Mare TeePee’s colt and Mare Ruby. 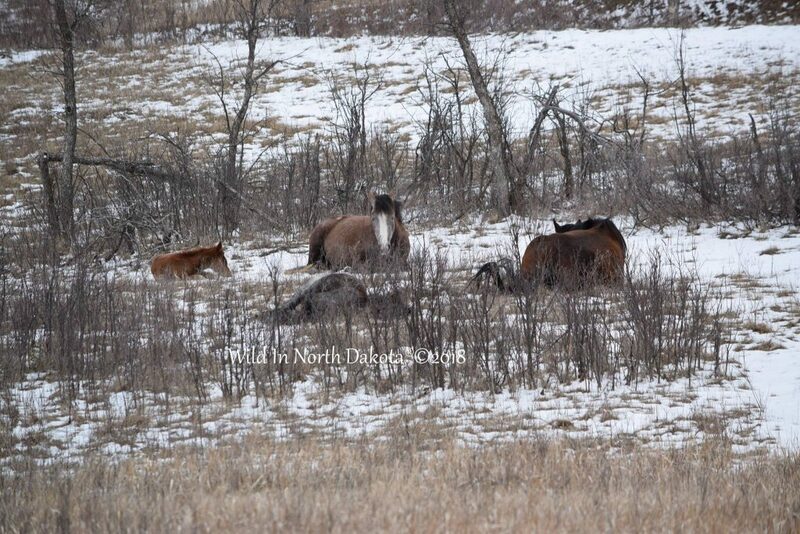 Mare TeePee (bay) with her 2014 filly Shay and her 2017 Colt laying flat on his side next to her. 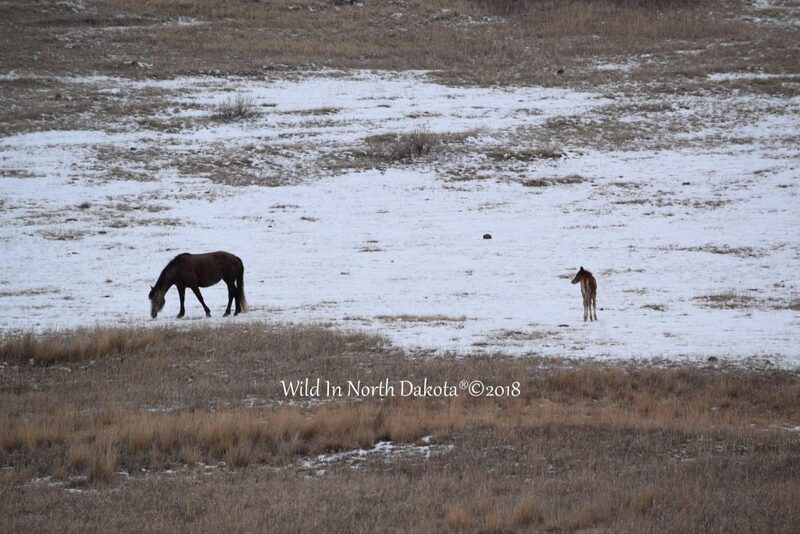 The adorable red baby is a Colt out of Shay that we are calling Shane. Mare Goblin with her 2017 Filly we call Journey. If you didn’t know better, you might think Journey was a tree stump or a pile of wood she blends in so well. Mare Ruby with her 2017 filly Kala. And just to show you all that the foals are hanging tough, here is a shot from my eyes to yours of Mare Shay with her darling colt Shane. I love how this shot gives you perspective of how really new and little he is!